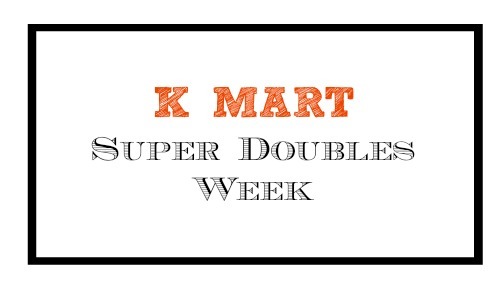 Kmart Shoppers, don’t forget that this week is K-Mart Super Doubles Week! From now until 11/1, they will double your coupons on household and personal care items up to $2! You must have a minimum purchase of $25 and there is a limit of (5) coupons doubled per day. Please note that you must be a Kmart Rewards member to participate in this sale. Go to Kmart online to join up for FREE.